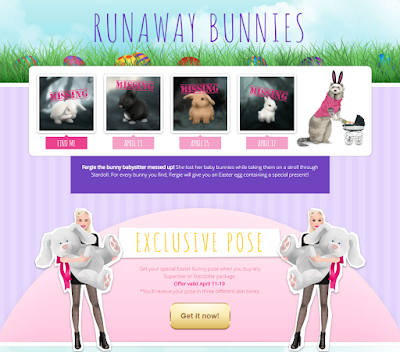 Today we have a particularly cute-looking Easter campaign launched. You might want to check it out HERE for more details. For the each bunny you find, you get a small gift, which is really nice. 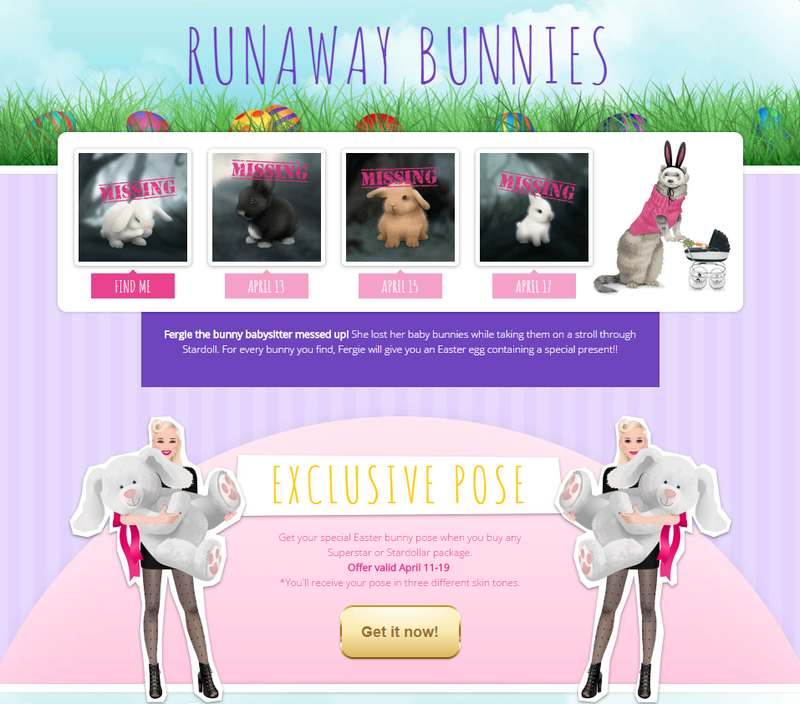 And you also get an Easter bunny pose with every Stardollar or Superstar purchase. And I've just found the first bunny! And now this cute, furry little gift is sitting on my doll's shoulder, all nice and cozy. Have fun with the new campaign, and hope you're gonna enjoy it as much as I do.